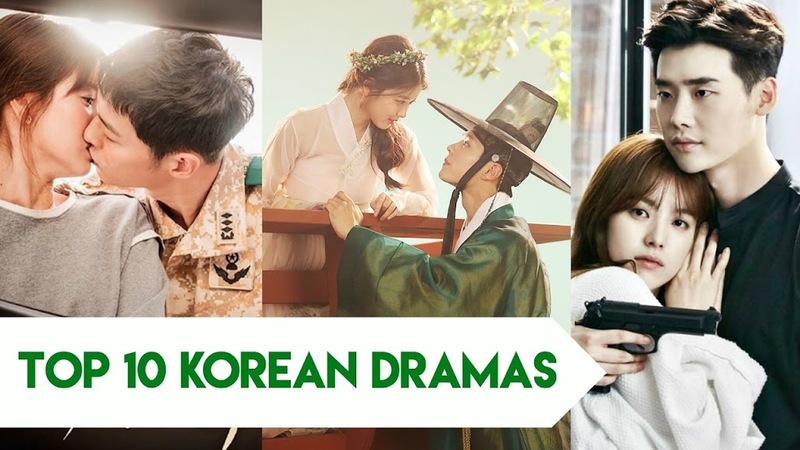 So at the end of 2017 is here, that means best of Korean drama over the past twelve month released, so there are lots of Korean drama are released but some drama you defiantly need to watch because this drama are best in 2017. While You Were Sleeping is a South Korean drama which rated by 89% by Asian wiki, Almost 97% of google user reported that this drama is decent to watch. First Episode released in 27 September 2017 and last episode released in 16 November 2017. 32 episode are released. Cast of this drama is Lee Jong-suk as Jung Jae-chan, Nam Da-reum as young Jung Jae-chan, Bae Suzy as Nam Hong-joo, Shin Yi-joon as young Nam Hong-joo,Lee Sang-yeob as Lee Yoo-bum, Yeo Hoe-hyun as young Lee Yoo-bum, Jung Hae-in as Han Woo-tak, Ko Sung-hee as Shin Hee-min. Voice is a South Korean drama, released in January 14, 2017 to March 12, 2017. Air on OCN Network. This drama become very popular so they announced that Season 2 is being planned that released soon. Cast of this drama is Jang Hyuk as Moo Jin-hyuk, Lee Ha-na as Kang Kwon-joo. The Bride of water god is a South Korean drama released in 3 July 2017 to 22 August 2017. There are 16 episodes are released in this duration. Almost 93% of google user like this drama cast of this drama is Shin Se-kyung as Yoon So-ah, Nam Joo-hyuk as Ha-baek, Lim Ju-hwan as Shin Hoo-ye, Krystal Jung as Moo-ra, Gong Myung as Bi-ryum. Strong Woman Do Bong-soon is a South Korean drama. IMDb gives 8.3/10 rating, Asian wiki gives 92% rating and almost 97% google user like this drama. This drama is based on a women having good body strength. This drama is released in 24 February 2017 to 15 April 2017. Cast of this drama is Park Bo-young as Do Bong-soon, Park Hyung-sik as Ahn Min-hyuk, Choi Seung-hoon as young Ahn Min-hyuk, Ji Soo as In Guk-doo, Choi Min-young as young In Guk-doo. Fight for my way is a South Korean drama. Google user gives 96% rating, 90% rating given by Asian wiki. This drama is On-Air by KBS2 Network and released in 22 May 2017 to 11 July 2017. there are 16 episode released in this period. Cast of this drama is Park Seo-joon as Ko Dong-man,Jo Yeon-ho as young Ko Dong-man, Kim Ji-won as Choi Ae-ra, Ahn Jae-hong as Kim Joo-man, Song Ha-yoon as Baek Seol-hee, Kim Ha-eun as young Baek Seol-hee. Suspicious Partner is a South Korean drama which rated as below almost 96% google user like this drama and Asian wiki gives 91% rating. This drama released in 10 May 2017 to 13 July 2017 under SBS Network, in this period they released almost 40 episodes. Cast of this drama is Ji Chang-wook as Noh Ji-wook, Oh Han-kyul as young Ji-wook,Nam Ji-hyun as Eun Bong-hee, Choi Myung-bin as young Bong-hee,Choi Tae-joon as Ji Eun-hyuk, Kwon Bin as young Eun-hyuk, Kwon Nara as Cha Yoo-jung. My Secret Romance is a South Korean drama released under OCN network; 17 April 2017 to 30 May 2017 in this period 13 episode is released. 96% google user like this drama. Cast of this drama is Sung Hoon as Cha Jin-wook, Song Ji-eun as Lee Yoo-mi, Kim Jae-young as Jung Hyun-tae, Jung Da-sol as Joo Hye-ri. Ten Miles of Peach Blossoms is a Chinese drama. IMDb gives 7.9/10 rating and almost 90% of google user like this drama. This drama is based on a chinese xianxia novel. On air by Dragon TV in the period of 30 January 2017 to 1 March 2017. Cast of this drama is Yang Mi as Bai Qian Si Yin Su Su, Mark Chao as Ye Hua Zhao Ge. Guardian: The Lonely and Great God is a Korean drama almost 96% google user like this drama also Asian wiki gives 92% rating. This drama is released in 2 December 2016 to 21 January 2017. This drama is one of the popular drama is this year. Cast of this drama is Gong Yoo as Kim Shin,Kim Go-eun as Ji Eun-tak, Lee Dong-wook as Wang Yeo, also known as Grim Reaper, Yoo In-na as Sunny, also known as Kim Sun, Jung Ji-hoon as young Yoo Deok-hwa.